2018 gave us tons of good news about upcoming TV and movies, and reboot fever is still going strong. In the case of entertainment these days, one nostalgic reboot announcement seems to lead to at least a half-dozen more. Since the beginning of this year, we’ve had confirmation of a ton of beloved television and film reboots getting the green light, and it doesn’t look like there are any signs of it stopping. Whether they’re family dramas, buddy-cop comedies or maybe something on the supernatural side, what’s old is suddenly new again and viable enough for a revival. For fans of the originals, it’s lucky major networks and studios are not too choosy when it comes to figuring out what to reboot either. A show from the ’70s is just as viable a candidate as one from the early ’00s, which means we get treated to a variety of old favorites that could take on a fresh and exciting new context and meaning today. So, which nostalgic TV shows and movies are getting the reboot treatment? Keep clicking and see for yourself. 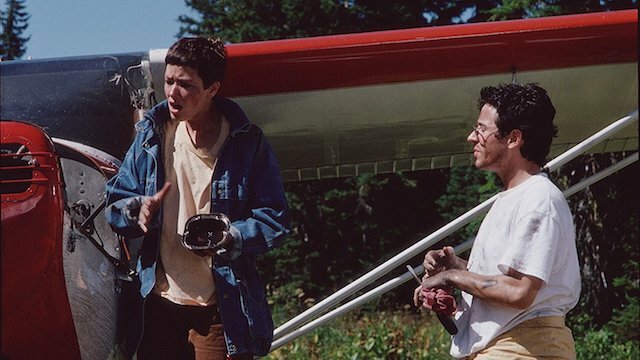 The hit ’90s dramedy Northern Exposure is making a comeback… and in a big way! According to TV Guide, the series — which originally aired from 1990 to 1995 — is being revived, and the show will be a continuation of the original, with Rob Morrow returning to play the role of Dr. Joel Fleishman. The show may join CBS’ lineup as early as next fall. According to Variety, both Shrek and its spinoff, Puss in Boots, are getting individual reboots. The man in charge of both reboots is Chris Meledandri, the mind behind the Despicable Me franchise. 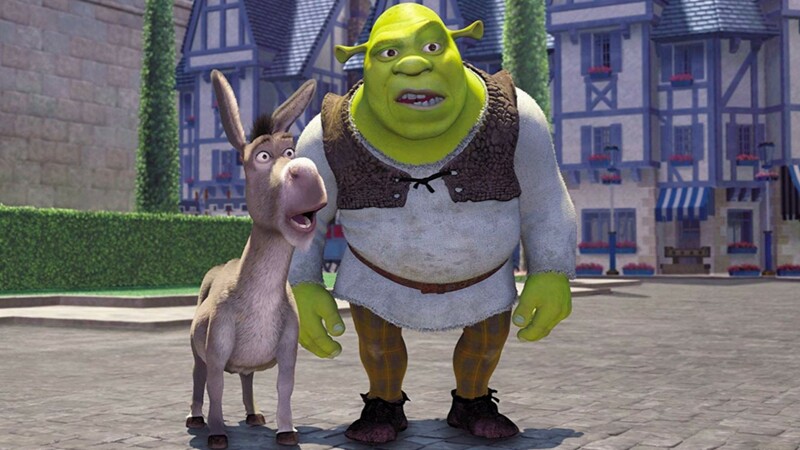 Per the report, Meledandri is looking to entirely reboot from the ground up both Shrek and Puss in Boots while hopefully still retaining the nostalgic aspects of each of the films — including the vocal performances. "When you look back on those vocal performances they’re awesome, and while you certainly could make a case for a complete reinvention, I find myself responding to my own nostalgic feelings of wanting to go back to those characterizations," Meledandri told Variety. "The challenge for us has been to find something that really does feel like it’s not simply yet another film in a series of sequels." At time of reporting, no casting information had been made public, nor any specifics on plots or release dates. In late October, USA Today was among the many outlets to report that a Clueless reboot was officially happening. While little is known about the plot, we do know that it will be updated for Gen Z and that Girls Trip writer Tracy Oliver has already been signed to write the script and it will be directed by Marquita Robinson, best known for her writing on Netflix's GLOW. In October, Variety reported the not only was an NYPD Blue follow-up happening but that the famed cop procedural which ran from 1993 to 2005 had gotten a pilot production commitment from ABC. According to Variety, "The new series follows Andy Sipowicz’s (originated by Dennis Franz) son, Theo, as he tries to earn his detective shield and work in the 15th squad while investigating his father’s murder." Little is known about how the show will play out or any news around casting (including whether regulars like Jimmy Smits or Franz will return). Good news, Marshmallows: it looks like Hulu may revive Veronica Mars for a limited 8-episode run. The news came courtesy of TV Line in late August and mentioned that the show's titular character would indeed be played once again by Kristen Bell. There's no word yet on the plot of whether any of the other members of the original cast — who teamed with Bell to make a fan-funded Veronica Mars movie in 2014 — would return. In August, Deadline announced that beloved '60s sitcom Bewitched, which followed the adventures of witchy housewife Samantha and her well-meaning husband Darren, would be getting a reboot, but with a notable modern update to appeal to audiences in 2018. Created by black-ish's Kenya Barris, the series will follow an interracial couple Samantha and Darren in our modern world: "Samantha, a hardworking black single mom who happens to be a witch, marries Darren, a white mortal who happens to be a bit of a slacker. They struggle to navigate their differences as she discovers that even when a black girl is literally magic, she’s still not as powerful as a decently tall white man with a full head of hair in America." On August 14, The Hollywood Reporter confirmed that a reboot of the hit, female-led CBS show Designing Women was in the works. The original series ran for seven seasons from 1986 to 1993 and starred Dixie Carter, Delta Burke, Annie Potts, Jean Smart and Meshach Taylor. There are no specifics at the time the project was announced about casting or an updated plot. In August, The Hollywood Reporter announced that a Facts of Life reboot was officially in the works over at Sony TV and that Leonardo DiCaprio and Jessica Biel are in talks to be executive producers through their respective production companies. There's no word yet on what the plot of the proposed reboot would be or if any of the original cast members would be joining the project. Months after The Sandlot's 25th birthday, The Hollywood Reporter revealed that 20th Century Fox is working on a prequel for the film. It's being written by the original's director and writer, David Mickey Evans, along with new writer Austin Reynolds. There's no word on plot or cast just yet. Warner Bros. Television is in the early stages of developing a reboot of Alf. According to Variety, who broke the news, "one idea that has reportedly been discussed for the reboot would involve ALF emerging from Area 51–where he has been held captive since the original series finale–and observing how much the world has changed since that time." The Hollywood Reporterconfirmed in late April that a reboot of the '80s drama Less Than Zerowas in the works over at Hulu. The film, which starred Andrew McCarthy, Robert Downey Jr. and Jamie Gertz, was originally adapted from a Bret Easton Ellis novel of the same and followed a college freshman who comes home for Christmas break only to find that his best friend is struggling with a serious drug addiction. THR's report notes that Hulu reboot will stay faithful to the source material and adapt the storyline for modern audiences. In July, The Hollywood Reporter announced that Austin Abrams, whose previous roles include The Walking Dead, Paper Towns and Brad's Status, would be tackling the Less Than Zero role of Clay, originated by Andrew McCarthy. In July 2018, The Hollywood Reporter confirmed the official lineup for the Charlie's Angelsreboot that will be directed by Pitch Perfect star Elizabeth Banks. Joining seasoned actor Kristen Stewart (Twilight) would be Power Rangers star Naomi Scott and newcomer Ella Balinska. Specific plot details are being kept under wraps but THR notes that the film will generally take "the detective agency premise of the original 1976-1981 TV series and 2000 and 2003 movies global, with the Townsend Agency now a worldwide security and intelligence service that has teams around the world. The movie will focus on one of those teams and the next generation of Angels. The film is scheduled for release on September 27, 2019. Deadline reported in late July that Kelsey Grammer and CBS TV Studios were exploring the option of a Frasier reboot. Unlike other recent reboots of popular '90s series like Will & Grace and Murphy Brown, the Frasier reboot is rumored to be set in an entirely new city with narrative links back to the original series. And, of course, Grammer would star in the reboot, too. At the 2018 San Diego Comic-Con, it was announced that a Buffy the Vampire Slayer reboot was in the works. Series creator Joss Whedon will be returning this time around as an executive producer, while longtime Whedon collaborator Monica Owusu-Breen will be the series' showrunner and writer. It was reported by Vox that the new Buffy would be a black woman and that the cast as a whole would be more inclusively cast. While specifics about the reboot were kept under wraps, it was reported the show would tackle modern social issues, just as the original series did back in the '90s. A Rugrats revival is officially in the works! "Rugrats is hands-down one of the most celebrated cartoons in TV history, and we are thrilled for a whole new audience to meet these iconic characters in brand-new adventures,” said Sarah Levy, COO of Viacom Media Networks and interim president of Nickelodeon. “What was true in 1991 when the original show premiered is still true today: kids are fascinated with the world of babies. We can’t wait for today’s kids to meet Tommy, Chuckie and pals." The Rugrats movie is slated to be released Nov. 13, 2020 by Paramount. Gen-Xers will be pleased to know that it was announced on June 21 that a Daria reboot is being launched over at MTV Studios. From Variety's report, we learned that the revival will be titled Daria & Jodie, focusing on Ms. Morgendorffer and Jodie Landon, one of the few black students at Lawndale who was also at the top of her class. The official description for the show reads: "The iconic animated franchise is reinvented through the eyes of heroine Daria Morgendorffer and one of her closest friends Jodie Landon. These two smart young women take on the world, with their signature satirical voice while deconstructing popular culture, social classes, gender and race." It's only been off the air since 2016 (so we're applying the term "nostalgic" loosely), but the Tim Allen-led sitcom Last Man Standing was confirmed for a revival at Fox by Variety on Friday, May 11. The show will return with a seventh season, implying that the show may very well pick up where the original series left off. The premise of the original series saw Allen playing a beleaguered father of three daughters, attempting to navigating all of life's many adventures at home and at work. Earlier this year, The Hollywood Reporter announced that Keanu Reeves and Alex Winter are bringing their Bill and Ted characters back to the big screen with Bill & Ted Face the Music. In this long-awaited sequel/reboot (call it what you may), nostalgic fans will see Bill and Ted "long past their days as time-traveling teenagers and now weighed down by middle age and the responsibilities of family. They’ve written thousands of tunes, but they have yet to write a good one, much less the greatest song ever written. With the fabric of time and space tearing around them, a visitor from the future warns our heroes that only their song can save life as we know it. Out of luck and fresh out of inspiration, Bill and Ted set out on a time travel adventure to seek the song that will set their world right and bring harmony in the universe. Together with the aid of their daughters, a new crop of historical figures and some sympathetic music legends, they find much, much more than just a song." In early May, Deadline reported that Mindy Kaling was officially re-teaming with Hulu (who had saved The Mindy Project from permanent cancellation) to adapt the classic '90s rom-com Four Weddings and a Funeral for a limited series. According to Deadline, much like the movie, the show "will follow a group of friends as their lives intersect through five events" — the aforementioned weddings and one funeral. There's no casting information at this time but chances are good that Kaling will likely make a cameo in at least one episode. Millennials will love this news: popular '90s Nickelodeon game show Double Dare is getting rebooted for modern audiences. The Hollywood Reporter first broke the news that the game show would be returning to Nickelodeon with 40 new episodes set to premiere during the summer of 2018. Whispers of a Mad About You reboot have been making the rounds recently, with interest in whether or not it's actually happening slowly increasing as more and more classic TV shows and movies get the green light. On April 12, Deadline stated that the Mad About You reboot was all but confirmed after reporting that the show's original leads, Helen Hunt and Paul Reiser, had secured deals with Sony Pictures TV. Hunt and Reiser have been in talks for several months, apparently, with Deadline quoting Hunt from an interview with Ellen DeGeneres recently that shows just how interested she and Reiser are in the revival: "I will say, Paul Reiser is in my kitchen a good amount because we’re talking about how to make it and not wreck it, because we’re proud of what we did, so…I hope so." While rumors of the reboot surfaced some time ago, it was officially confirmed in April that the planned TV reboot of the First Wives Club would be going ahead at Paramount Network, the same network in charge of the Heathers TV reboot. The reboot will be penned by Girls Trip scribe Tracy Oliver and, according to Deadline, will be a half-hour comedy. Deadline additionally confirms the plot will be very similar to the original ("[T]he series will be based in New York City. It will follow a group of women who band together after their marriages fall apart, and who find strength in their sisterhood — and of course a little revenge") but there will surely be updates made to make it fit in with 2018. In April, there was exciting new casting news ahead of the planned Terminator reboot going into production. In addition to Halt and Catch Fire star MacKenzie Davis' casting, Scream Queens star Diego Boneta was also announced as one of the leads of the reboot. Additionally, The Hollywood Reporter notes that original Terminator stars Arnold Schwarzenegger and Linda Hamilton will be appearing in some capacity while Davis will play another version of the Terminator. Additional plot details are being kept under wraps. Nick Hornby's 1995 novel that led to the 2000 feature film High Fidelity is now reportedly getting the TV treatment, thanks to Disney. While Deadline reports that the revival is still in early development, the series will allegedly be a "gender-swapped take on the classic title" that captures the "romantic comedy and authentic spirit of the original source materials." No news yet on casting or who's being considered to play the female version of Rob Gordon but we can think of a few suggestions: Vanessa Hudgens? Allison Williams? Oh, maybe Zoë Kravitz?! Sabrina the Teenage Witch is getting the reboot treatment at Netflix, titled The Chilling Adventures of Sabrina, and it'll be very different from the original show. So far Melissa Joan Hart doesn't have a role (although she's open to finding her own "fit" in the series). Instead, Mad Men's Kiernan Shipka has been cast as Sabrina and a slew of new faces fill out the rest of the cast. Execs behind the reboot confirmed that the new version "is a darker, more macabre version of Sabrina." It'll be interesting to see where this reboot goes. A premiere date has yet to be announced. Fans of the John Wick films series will be pleased to learn that a spinoff TV series is in the works, currently titled The Continental. Based on the hotel of the same name introduced in John Wick, the series will be a "'cool, Wick-ian, magical, and mysterious world' (as described by Indiewire) built around the Continental, a hotel chain for assassins. They're places where assassins can get the tools they need and hide out, and no 'business' is allowed to be carried out," according to TV Guide's report back in June 2017. In February, we learned that production on the animated Muppet Babies reboot was picking up steam when Jenny Slate was confirmed to be joining the cast as the voice of Miss Nanny. According to a statement released by Disney Junior, Miss Nanny's role and look was described as such: "As in the original Emmy Award-winning series, Miss Nanny will only be visible from the torso down. Adding a new touch to the reimagined series, the pattern of Miss Nanny’s tights will change in each episode to reveal the story’s theme." The Muppet Babies reboot was first announced in 2016 but will premiere some time in 2018. In July 2017, fans got their first look at footage from the Rocko's Modern Life reboot planned at Nickelodeon. The reboot, set to premiere some time in 2018, will be called Rocko's Modern Life: Static Cling and will be a one-off TV movie. As Entertainment Weekly reported when the first footage emerged, the plot of the reboot is a pretty fun one: "After having been blasted into outer space with Heffer and Filburt in 1996, Rocko returns to Earth and struggles to fit into the world that the 21st century has long since accepted. Food trucks, iPhones, energy drinks, 3-D printers, and social media are all ripe for skewering by the gang." We learned back in December 2017 that a reboot of She-Ra had been ordered at Netflix. According to TV Line, the show will be updated slightly for a younger generation while still retaining the classic images '80s kids remember and love. This new She-Ra will reportedly be "a modern take on the ’80s girl-power icon for a new generation of young fans" and, better still, it will be "led by a warrior princess tailor-made for today." The Rockford Peaches are getting a new life on television with the announcement that one-half of Broad City's iconic duo, Abbi Jacobson, would help pen a TV series based on A League of Their Own for Amazon. According to TV Line, this new version would "be a half-hour comedy that puts a modern spin on the true story of women playing professional baseball while men were off fighting World War II." That sounds pretty darn great to us! In March, it was announced the Melissa Joan Hart, who originally starred in Clarissa Explains It All, would be returning for a reboot of the hit Nickelodeon show. According to The Hollywood Reporter, Hart will return as Clarissa Darling, but this time around the show will follow Clarissa as a mother raising her family in 2018. Fox picked up a pilot based on author Dennis Lehane's 1998 book Gone Baby Gone and the subsequent 2007 feature film, starring Casey Affleck, that followed two private investigators hunting for a little girl who was abducted from a Boston neighborhood. The CW officially ordered a pilot for a Roswell reboot. The pilot will be written by Originals scribe Carina Adly MacKenzie and will pick up after the daughter of undocumented immigrants reluctantly returns to her hometown of Rosewell, New Mexico and "discovers a shocking truth about her teenage crush who is now a police officer: he’s an alien who has kept his unearthly abilities hidden his entire life. She protects his secret as the two reconnect and begin to investigate his origins, but when a violent attack and long-standing government cover-up point to a greater alien presence on Earth, the politics of fear and hatred threaten to expose him and destroy their deepening romance." Reported at the same time as the Cagney & Lacey reboot, we learned in late January 2018 that a Magnum P.I. reboot was also ordered as CBS. According to The Hollywood Reporter, the reboot is "an update of the classic TV series and is set in Hawaii. It follows Thomas Magnum, a decorated ex-Navy SEAL who, upon returning home from Afghanistan, repurposes his military skills to become a private investigator." While the original star of Magnum P.I., Tom Selleck, is currently not attached to the reboot, since he is currently in the CBS family with his starring role on Blue Bloods, THR notes that means he could pop up for a cameo if he wanted to. We certainly wouldn't mind. After a very public "Will they or won't they? "-style discussion between the stars of Charmed and the fans who love the show, it looks like the Charmed reboot is indeed happening, and it's going to have a very feminist edge to it. According to Deadline, The CW has ordered a Charmed reboot pilot that will reportedly be set in the present day and is being described as a "fierce, funny, feminist reboot of the original series [that] centers on three sisters in a college town who discover they are witches. Between vanquishing supernatural demons, tearing down the patriarchy, and maintaining familial bonds, a witch’s work is never done." While a previous attempt to reboot Charmed would have set the series in the mid-'70s and would have been focused on an entirely new trio of witches, this new plan for Charmed sounds just as fun. There's no word on whether or not the original Charmed cast will be coming back for the reboot, but chances are it will be a serious feat to secure them to appear for any length of time in any way, shape or form. Candice Bergen is coming back to TV, y'all. In late January 2018, it was confirmed that a Murphy Brown revival would be coming to CBS with Bergen set to play her award-winning, star-making role, the titular Murphy Brown. Deadline reports, "Bergen will reprise her role as the famous investigative journalist and TV anchor at the FYI network, as Murphy Brown returns to a world of cable news, social media, fake news and a very different political and cultural climate," and that apparently some of the original cast members are in talks to come back for the revival. What could be more exciting than having a little Murphy back in our lives, people? Nothing, I tell you. Nothing. It may have only lasted one season back in 1974, but it looks like Get Christie Love! is getting a second chance at becoming a TV mainstay. The Hollywood Reporter wrote on Jan. 23 that ABC has picked up a pilot for the Get Christie Love! reboot and that Pitch star Kylie Bunbury is set to play Christie Love. Christie is described by THR as "an African-American female CIA agent who leads a highly trained elite ops unit. Christie transforms into whomever she needs to be in order to get the job done — especially when it's down to the wire and the stakes are life and death. The high-adrenaline missions of the action-packed, music-driven drama are anchored by an emotional mystery about Christie’s first love — unearthing the truth about this relationship will be the biggest mission impossible of her life." While it's still early days for this reboot, there is a major effort being made to bring The Mighty Ducks to TV. Although a network isn't attached to the reboot yet, according to The Hollywood Reporter, it looks like ABC Signature Studios is involved, which means there is a chance ABC could pick it up (neither ABC nor ABC Signature Studios have confirmed that). The film trilogy's original screenwriter, Steven Brill, is attached to write a pilot, and if things go well, then the show would theoretically be shopped around. There's no word yet on what kind of show it will be (Comedy? Drama? A half-hour? A full hour?) or whether anyone from the original cast will return. Best to keep an eye on this one, folks. After much whispering and wondering about whether or not this show would get picked up, it was confirmed in January 2018 that Sister, Sister would truly be getting the reboot treatment. While appearing on the Steve Harvey Show, Sister, Sister star Jackée Harry confirmed that the reboot was going forward. As she joked with Harvey, "Yeah, it’s happening. I’m excited. Tia [Mowry-Hardrict] and Tamera [Mowry] are my babies. They won’t leave me alone. I can’t get rid of none of these women!" Mowry-Hardrict told Us Weekly that darn near everything has fallen into place when it comes to getting the show on its feet, save for one hurdle. It sounds like once things get 100 percent secured, Sister, Sister will roll on into production. "There’s a hurdle that we have to jump. There’s only one other hurdle and once we jump this hurdle, it’s on and cracking. We just have to wait until that kind of fleshes itself out. […] We have the writers. We have everything. Everything is in place, so we’re going to be taking meetings in the next few months, so we’ll see." The hit '90s show is getting a super-modern makeover for 2018. According to Deadline, the Party of Five reboot is heading to Freeform and will look and feel different from the original. "The reboot will follow the five Buendias children as they navigate daily life struggles to survive as a family unit after their parents are suddenly deported back to Mexico," Deadline reports. This new twist to the show's plot structure, especially with the focus on immigration in America in 2018 being front and center, feels like a timely and necessary twist that will help bring in new viewers while giving fans of the original something new to think about. After airing on Fox for 15 seasons, ABC decided to reboot American Idol only 2 years after it went off the air. But it may not have been the best idea. The premiere was only watched by 10.2 million viewers, which was the lowest ratings of any American Idol premiere – ever. Even worse, ABC sunk a lot of money into the reboot, reportedly paying Katy Perry $25 million alone. Well, they can't all be winners, right? The new Fab Five made their Netflix debut on Feb. 7. Having aired on Bravo for 5 seasons between 2003 and 2007, Queer Eye 2.0 – which takes place in Atlanta, Georgia – was met with praise from old and new fans. In fact, it did so well, Netflix already renewed it for a second season. The History Channel will be bringing back the popular series from the '70s, In Search Of. Executive produced and narrated by Star Trek star Zachary Quinto, the show is described by Deadline as: "From the mythical to the scientific, each episode will follow Quinto as he investigates a different subject within a dynamic theme – such as alien encounters, mysterious creatures, UFO sightings, time travel and artificial intelligence – and searches for the truth to some of the world’s greatest mysteries. In Search Of will explore enigmas told through the eyes of witnesses and scholars with a personal connection to the phenomenon and include immersive demonstrations and experiments that contextualize each episode’s theme." It's been 10 years since Trading Spaces graced our TVs, but TLC's bringing it back! And of course, they didn't forget the original cast. Host Paige Davis and designers Vern Yip, Genevieve Gorder, Doug Wilson, and even carpenter Ty Pennington are confirmed to return. The original cast of Jersey Shore (minus Ronnie and Sammie) reunited in 2018 for Jersey Shore: Family Vacation, which sees the group taking a vacation down to sunny Miami to whoop it up like the good old days. Louisa May Alcott's classic novel once again was adapted for the screen, only this time is was adapted for television. Airing on PBS back in December 2017 and starring Big Little Lies' Kathryn Newton and Maya Hawke (daughter of Ethan Hawke and Uma Thurman), the latest Little Women brought to life the joys and sorrows of the March family for a new generation.